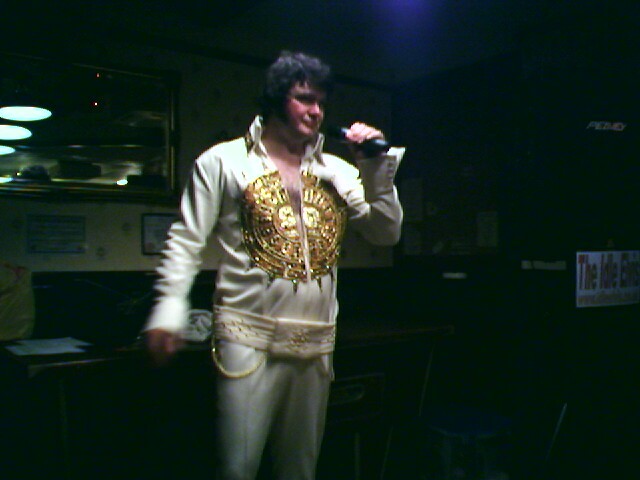 PROBABLY THE BEST ELVIS TRIBUTE............................EVER! With The Idle Elvis you have the added assurance of PAT tested equipment as well as full public liability insurance. Documents available for inspection should the venue require. Click on SHOWS below for latest gigs. Only the public events are listed. There are many weddings, birthdays, private club events and more throughout the year which we don't list. We regret that we are unable to cover private house or garden parties, but more than happy to perform at any private events taking place in pubs, clubs, hotels, village halls and similar venues, subject to availability. Check out youtube.com for The Idle Elvis. 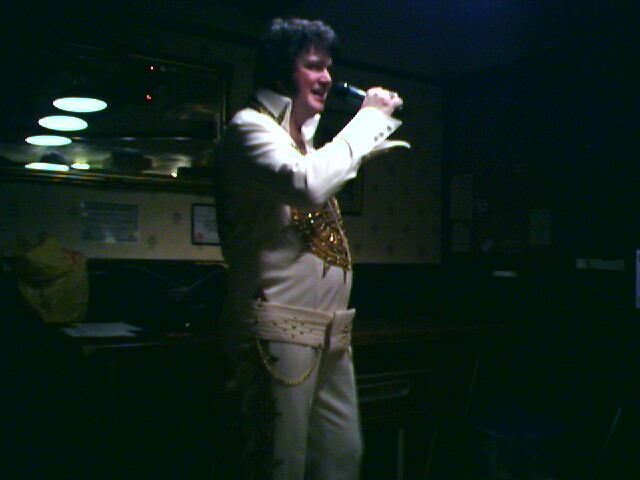 Put "idle elvis" in the search engine and have a look. You can now check out The Idle Elvis on Facebook and add yourself as a fan if you like the act. He takes his name from the village of Idle where he lives. His tribute to ‘The King’ contains a wide range of the songs of Elvis Presley from the 1950’s to the 1970’s, with some surprising renditions of songs better known by other artists. The shows are given in the style of the Vegas concerts, yet performed with a uniqueness that could only be 'The Idle Elvis'. The appreciation of the audience after each show speaks for itself, with many considering this to be the best show of it's kind, "The Ultimate Tribute". * PLEASE NOTE: Private bookings will only be undertaken providing the event is taking place in a pub, club, hotel, or similar venue, unfortunately we are not able to accommodate house or garden parties. CLICK BELOW FOR CONCERT DATES AND MORE. Copyright 2018 © "The Idle Elvis"